Thanksgiving can be stressful, especially if you're the one responsible for cooking the whole meal. 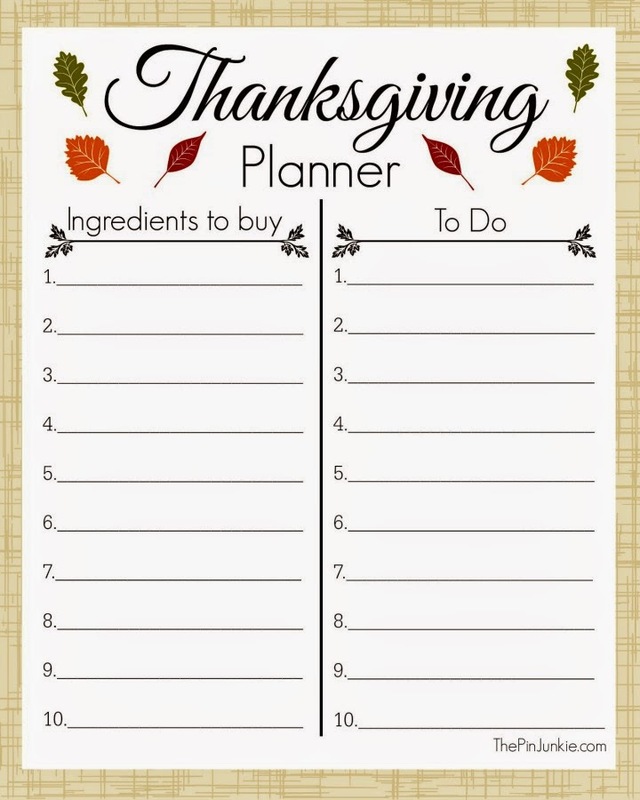 The key to making it foolproof and stress free is staying organized and today I'm sharing a printable Thanksgiving planner that can help you do just that. Last year, I finally got smart and started keeping a list of all the dishes I'm going to prepare on Thanksgiving, a master list of all the ingredients needed for each dish, and cooking times. That way, I'll know exactly what I'm making. With my list in hand, I can easily check to see which ingredients I already have and quickly make a list of items I need to buy. And when it comes time to start cooking, I know exactly what time things need to go in the oven. I really wish I started doing this years ago! This year, I decided to make my list pretty with the help of PicMonkey. I printed both pages and put them back to back in a plastic page protector to keep them clean and protect them from spills in the kitchen! 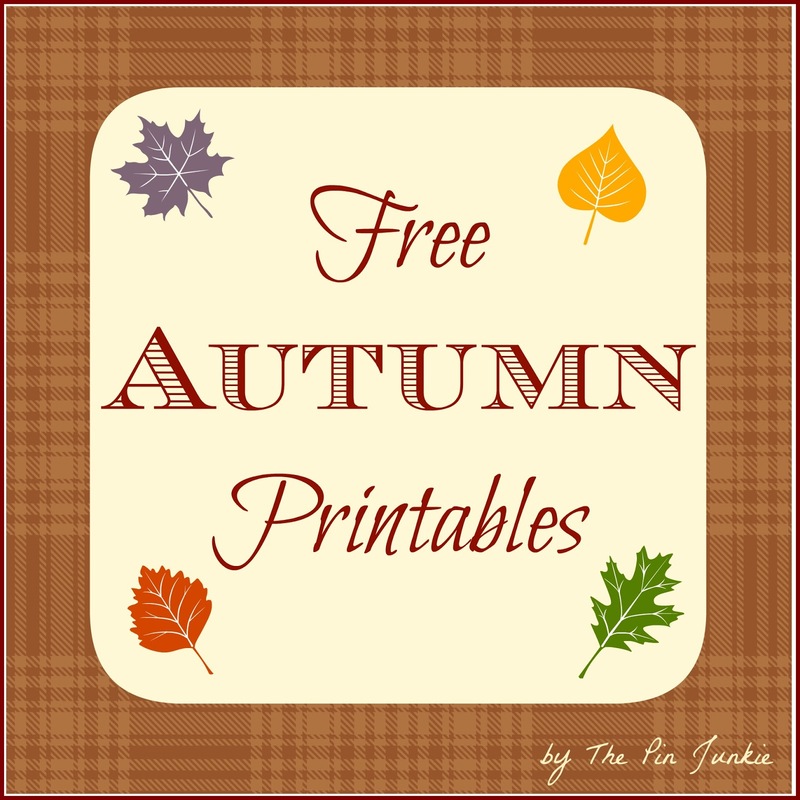 Find more free autumn printables here! Visiting from Natasha's! Love the planner. I am a new follower on Pinterest and your blog. Happy to meet you! This would be great to keep from one year to the next. I have been cooking thanksgiving since I was 17, and my dad taught me to organize my meal this way. 27 years later, I can do the meal by memory, but I would highly recommend organizing each item and dish down to cook times... So much stress is reduced this way! Another tip is to write each dish on a small piece of paper (turkey, mashed potatoes, gravy, etc).Grab all the serving dishes the day before, and put the "label" into the dish. It helps to pull out and think through serving bowls and utensils long before it is time to cook... Makes servicing so much less of a hassle. This also makes it easier to let someone help with a dish or two:). Love this idea! Thanks for sharing with the Thursday Blog Hop! Great idea so nothing if forgotten. It seems there is always something that we forget to put on the table and find later. 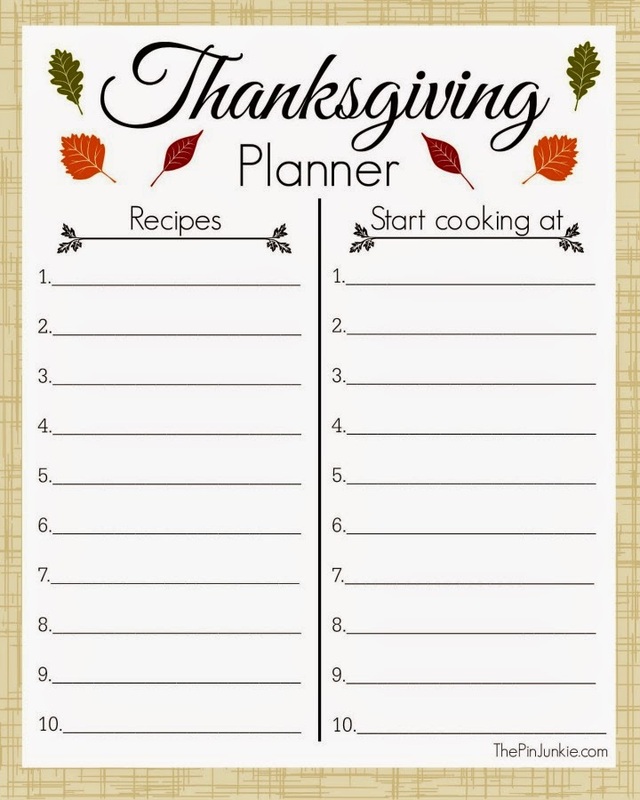 This planner sounds great for the day that I actually cook a Thanksgiving dinner. Right now, I'm so completely overwhelmed with the idea, that I've never even attempted. This planner definitely looks useful for that day. What a great idea! I need to at least print out the buy list. I made a list yesterday for shoppping and still forgot something! Thanks for linking up to the Bloggers Brags Pinterest Party! I’ve pinned you post to the Bloggers Brags Pinterest Board. Cute planner! Thanks for sharing it with SYC. Cute printables - good idea too to keep you on track. I have done this recently just with some new recipes I want to try - list them and then list the things I need to get to make them. Thanks for the feature Mandee! You always have such nice printables so I'm flattered that you're featuring one of mine!